For the most part, I don’t post pictures on this blog. But this entry wouldn’t make sense if you’ve never seen canyon country. 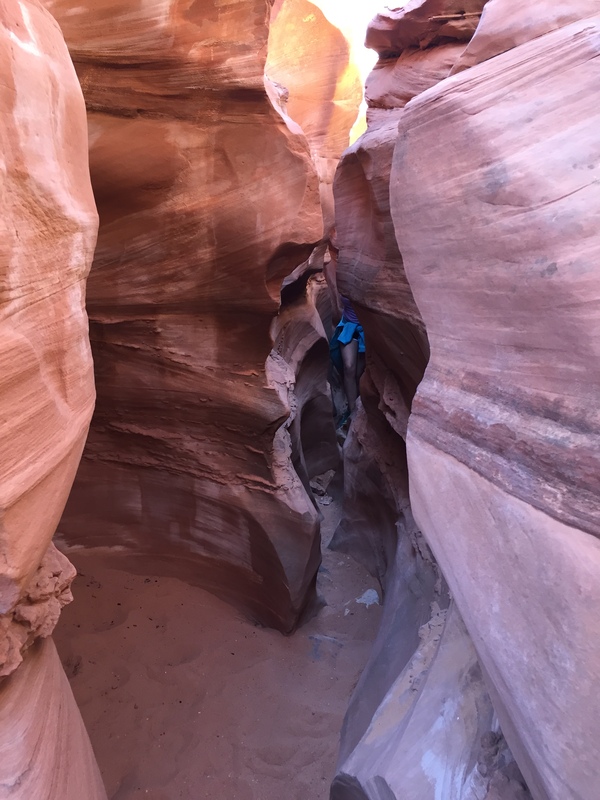 This is a photograph of a slot canyon in Utah. Incredible. From the surface, you’d never know that ancient waters carved the canyons, but once you’re down in them; the swirling, wavelike marks along the rock wall are impossible to miss. It took an impossibly long time to create such beauty out of rock. It can take an impossibly long time to create a manuscript worth reading. I didn’t need the rocks to remind me how painstakingly slow the publishing industry moves or how incredibly long it can take to create a darn good sentence. But canyon country was an excellent reminder to accept the writing process. It can’t be rushed. Writers need to write and revise. Write and revise. Write and revise. We must get critiques from beta readers. We must revise again. Writers need to break, step away, and see a new perspective; then jump back in and write, plus you guessed it, revise. You are currently browsing the Carrie Brown-Wolf • Rock, Paper, Write blog archives for July, 2015.